The World Wildlife Fund estimates that humans produce enough food for everyone on the planet. One problem: Worldwide, humans waste one of every three food calories produced, even as millions of people go hungry every day. 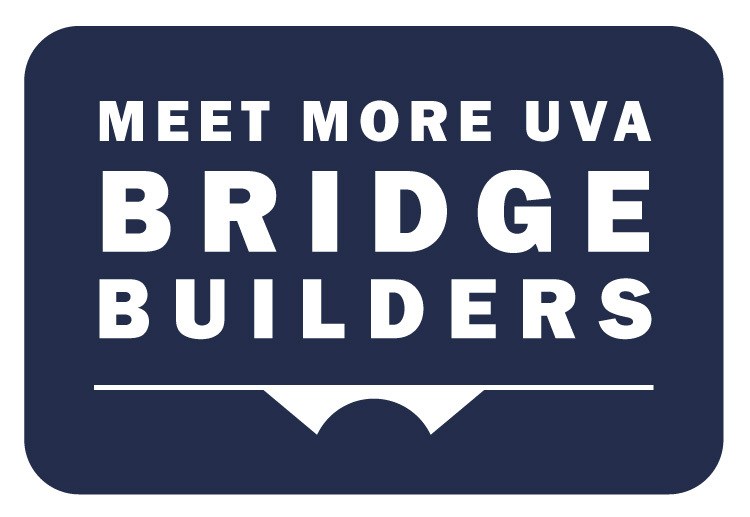 A student group at the University of Virginia is doing its part to mitigate food waste and hunger in Charlottesville. 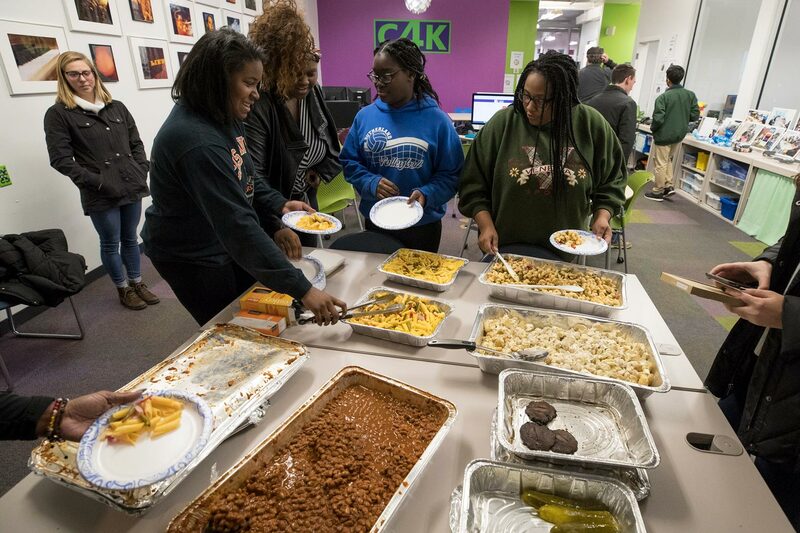 The group, FoodAssist, partners with several Greek organizations at the University to donate excess catered food to Computers4Kids, a local, nonprofit, after-school program that helps prepare underprivileged youths for college or career life. Computers4Kids’ operating hours extend through dinnertime, and its clients must qualify for free or reduced lunch at school. Students from FoodAssist, launched last year, visit sororities and fraternities just after the dinner hour and collect large pans of food prepared for their members by such businesses as Whole Foods and The Catering Outfit. Co-president Kayla Spigelman, who is in charge of logistics, said they are trying to expand the concept. “Right now, we have four or five houses that are involved, but we are trying to expand to other restaurants on the Corner and places around Grounds like Greenberry’s and Einstein Bagels,” she said. In addition, FoodAssist is working to become a chapter of the Food Recovery Network, a national nonprofit that unites students at colleges and universities to fight food waste and hunger by recovering perishable food that would otherwise go to waste and providing it to those in need. There are 230 chapters of the Food Recovery Network in 44 states and Washington, D.C. To date, those chapters have recovered more than 3 million pounds of food. Spigelman is passionate about food insecurity and waste and has been working to combat the two since she was growing up in Miami. “I’ve been working with food banks in my community since I was 10 or 11 years old,” she said. As a public-school middle school student, Spigelman became acutely aware of how much some of her classmates relied on school meals. So for her bat mitzvah project she created a food drive called Trick-or-Treat-Food-To-Eat. “So, every year on Halloween, I would gather a group of friends and go out trick-or-treating for canned foods instead of candy, and then all of the canned food we collected was donated to food banks in the area,” she said. By the end of high school, at least 60 people joined the movement, and Spigelman courted community sponsors to donate directly to food banks. Trick-or-Treat-Food-to-Eat was so popular that it was covered in the local media and it continues to this day. Spigelman’s cousin even adopted the project for her bat mitzvah in Orlando. Continuing to combat food waste and insecurity in Charlottesville was a natural move for the second-year student, who is majoring in systems engineering and minoring in global sustainability. In addition to finding more sources of food, FoodAssist is looking to expand its food donation beyond Computers4Kids. “We are in contact with places like The Haven, a homeless shelter, and the Salvation Army,” she said. FoodAssist is also trying to move beyond delivering just dinner. At 6:30 on a chilly November evening, five members of FoodAssist arrived at the Kappa Delta sorority house to make a food pick-up. After the sorority sisters finished their dinner, there were six large pans of catered food left over. Spigelman and her team stepped into the kitchen to retrieve the food, which would have gone to waste, and hopped in a car headed for the Computers4Kids space at the IX Art Park. Computers4Kids was originally conceived as a way to get computers in the hands of students who could not afford them. Today, the organization has evolved into a program in which students in sixth to 12th grades are matched with a mentor and work on projects related to science, technology, engineering, math and art. 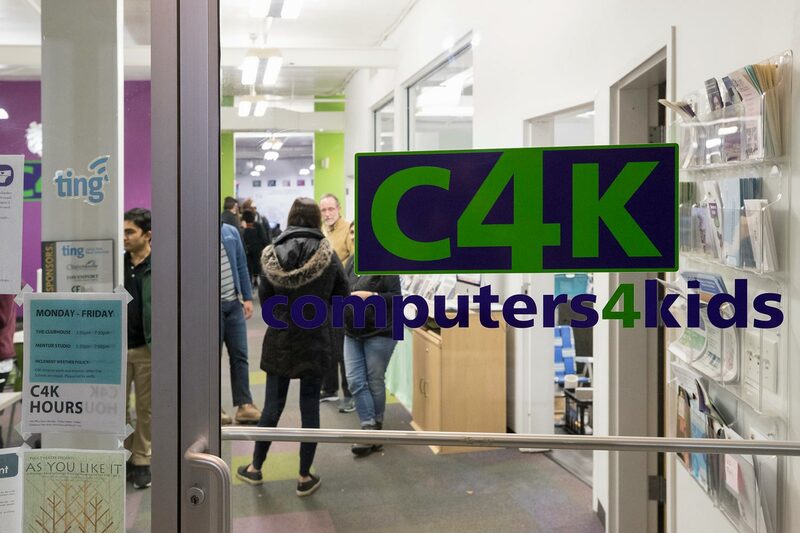 “Our ultimate goal is to help our youth members find out what their interests are, what their passions are, and how those might propel them toward college and career goals and then connect them with mentors and resources to help them achieve those goals,” said Tricia Howell, the mentor coordinator at Computers4Kids. Participants begin arriving at the space at 3:30 p.m. and most stay until 7:30 p.m. Howell said the students get a snack, but as a non-profit, Computers4Kids does not have the financial means to provide a full dinner. “We partner with a USDA food program and they provide a snack for our members, but it’s not enough for growing kids who are spending several hours in our space with not enough to kind of keep them going,” Howell said. Charlottesville High School senior Niedia Washington has been coming to Computers4Kids since she was in the sixth grade, so she remembers what it was like before FoodAssist came on the scene. She would have a snack soon after she arrived and would have to wait to eat dinner at home, which is challenging for a hungry teenager. “Sometimes if I’m too lazy to go home and cook myself, there’s some food here for me to eat and it can help hold me over until the next day,” she said. Another plus? Washington said she gets to try new things. A few weeks before Thanksgiving, the meal included cold sesame noodles. The idea of cold noodles did not appeal to Washington, but she gave them a try and really liked them. “I was kind of iffy, but they were really good,” she said. Many times, members of FoodAssist will sit down and have dinner with Washington and her buddies. And when parents come to pick up their children, sometimes they will have a meal, too. Spigelman said volunteering with FoodAssist warms her heart. She said it’s fulfilling to be able to work with a team of people who are so passionate about the issues and care so much.